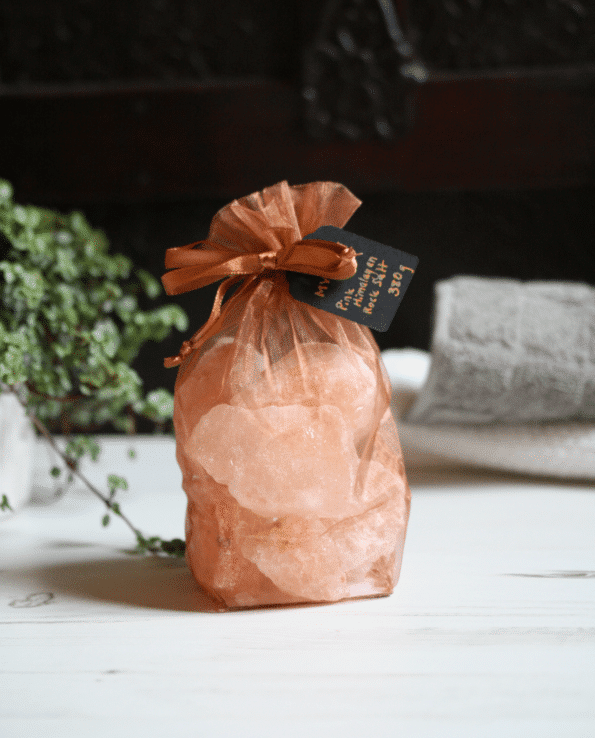 Enjoy the luxurious feel and beauty of our high quality, beautiful Pink Himalayan rock salt to dissolve in your bath and detox your skin. This is the purest salt there is making it a very valuable ingredient to detox, remineralize and purify the skin. Beautiful product! I first purchased the salts for my partner, as he has problematic skin and suffers with acne. It helped to calm his skin. My skin is more on the dry side come winter and I too really felt the benefit of the product. We were so pleased with our purchase that we ordered more for Christmas gifts, my Mother has eczema and I know it will work a treat. Product is beautifully presented and looks great sat on display in our bathroom...although we have nearly run out now and will need to order some more!